I follow Tottenham Hotspur on Twitter, and for once, the hysterical tweeting whenever Spurs score a goal (often in a game they lose (which they don’t tweet about the rest of)) was justified. 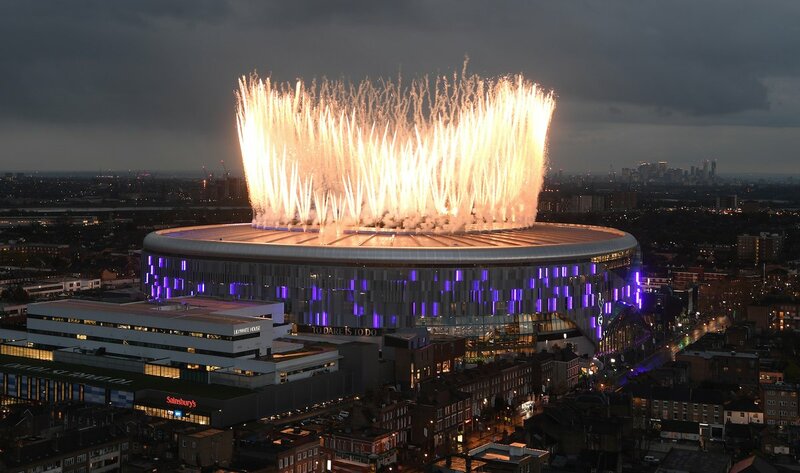 This time the fuss concerned the very first goal scored for Spurs in their new stadium, by Son Heung-min. Spurs beat Crystal Palace 2-0. 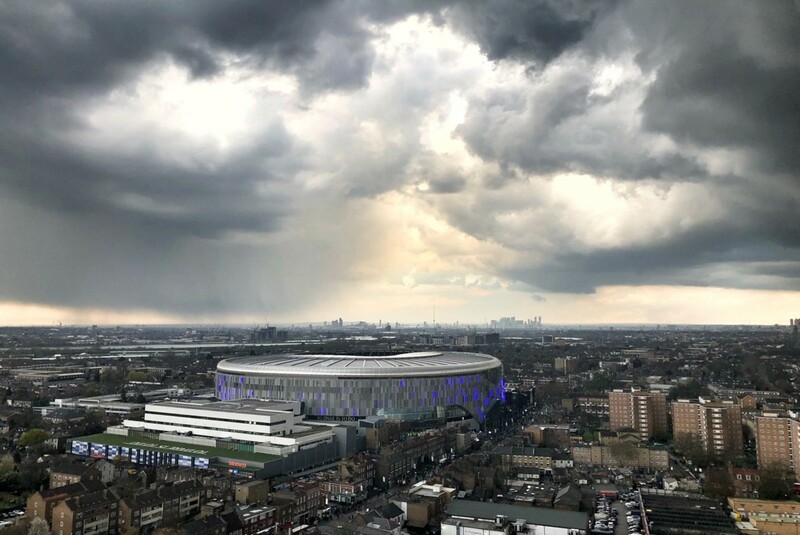 I’m not a real Spurs fan, because I don’t think it looks “just incredible”. I just think it looks like a football stadium, and a rather bland and boring one. But, that’s fine. It’s a big old machine for people to play and watch football in. Also American Football and pop music, apparently, which makes sense. In the distance, the Walthamstow Wetlands, i.e. various reservoirs. Here is a photo I took of the stadium from next to those reservoirs. This was not just an important occasion for Spurs; it was also an important game for Spurs. Had Spurs lost to Crystal Palace this evening, it would have put a severe damper on the rest of their season. As it is, they will return to their new home for the next game they play there in very good spirits.